The pea aphid, Acyrthosiphon pisum (Harris), is actually a complex of distinct races that each live on a different group of legume species. Some live on several species, while others live on a single species or just a few. This ecological specialization can be considered as one of the first steps towards sympatric speciation since the host fidelity of races leads to assortative mating which reduces gene flow between host-races. The aim of this project is to identify plant chemical compounds that are responsible for the pattern of host plant usage by pea aphid races and test their involvement in ecological and evolutionary processes. We are seeking: a highly motivated Ph.D. candidate with some background in analytical chemistry, biochemistry or chemical ecology. The candidate should be strongly interested in interdisciplinary research questions. (Project leader: Grit Kunert). 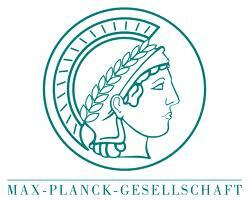 The project will be part of the International Max Planck Research School (IMPRS) “The Exploration of Ecological Interactions with Molecular and Chemical Techniques” in Jena, Germany. Students holding a Master`s degree (or equivalent) in molecular biology, ecology, entomology, microbiology, chemistry, biochemistry and neuroethology, with a proven record of success in one of the disciplines and interest in examining ecological interactions, are eligible to conduct a doctoral project within the IMPRS. The Research School is a joint initiative of the Max Planck Institute for Chemical Ecology, Friedrich Schiller University, Jena, the Leibniz Institute for Natural Product Research and Infection Biology, and the Leibniz Institute of Plant Genetics and Crop Plant Research. The main focus is on the interaction between plants and animals, and their environment, as well as the evolutionary and behavioral consequences of these interactions. Application deadline is June 26, 2011. For detailed information about the IMPRS, PhD topics offered and application requirements, please Visit Official Website. Demikianlah informasi PhD fellowship in Legume chemistry and the specificity of pea aphid host races, Chemical Ecology at IMPRS kami sampaikan, semoga bermanfaat.